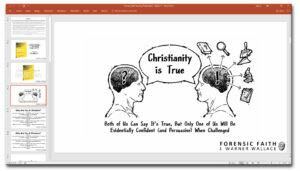 If you’re making a case for a more reasonable, evidential Christian faith, we want you to have these free resources. 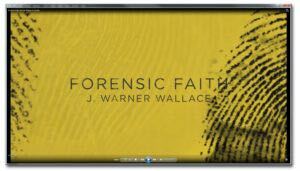 We’ve assembled the 8 PowerPoint Presentations, 8 Encouragement Videos, 8 Bible Inserts, and 4 Challenge Sheets to help you teach the material from Forensic Faith. 1. 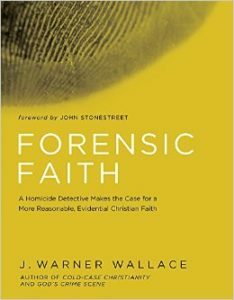 Purchase the Forensic Faith book or the Forensic Faith Curriculum Kit: A Homicide Detective Makes the Case for a More Reasonable, Evidential Christian Faith. 2. After reading the book or using the curriculum, post a review on Amazon. 4. 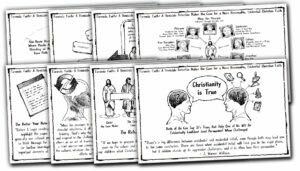 Attach proof that you purchased the material; i.e. a copy or screenshot of the receipt or an image of your copy of the book (Sorry – this offer is only for new book purchases and can’t be offered for books purchased used), and a screenshot or the text of your review.